Could this be the smallest serious acoustic amp around? It's simple, compact and effective, but the sound leaves a little to be desired. That said, it's affordable and plenty loud enough for small acoustic gigs. Ultra-compact design. Easy to use. No pole/stand mount. Sweepable mid EQ would be good. Heard the one about the 100-watt acoustic amp that's a foot tall, seven inches wide and weighs 11 pounds? Well, it's no joke. it's American Acoustic Development's Cub AG-100. 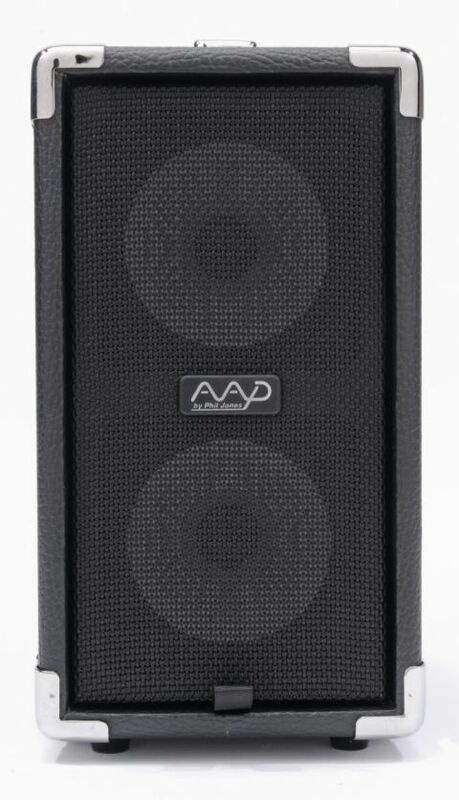 AAD is headed by British ex-pat Phil Jones, whose experience in hi-fi and studio electronics also extends to the compact range of PJB bass amps. Despite the tiny dimensions, your basic electro-acoustic needs are covered via the rear panel's well-protected controls. The single channel offers a -10dB input pad, three-band active EQ (+/-15dB at 100Hz, 1Khz and 10KHz) and a series effects loop. There's also a line out, tuner out and a low-impedance, balanced XLR out, but no pole-mount, parametric mid or anti-feedback circuit. Having used guitars with B-Band A2 and Fishman Ellipse Blend systems for the test, we were surprised how much volume and spread the Cub kicks out. There's enough to its sound to make any quality guitar sound credible. Housing a pair of 95dB, five-inch 'Neo-Power' drivers, the physical dimensions of this amp mean that acheiving the ideal mid-range response can sometimes be a fight - especially when used with guitars with no on-board parametric EQ, or less-than brilliant electronics in general. This is an able personal amp/monitor for electro-acoustic performances and it's also gutsy enough for restrained bands, as long as you're not trying to outdo an acoustic drum kit and electric bass rig. There are some tonal compromises involved for this size, but the Cub is nevertheless simple to use, effortless to carry and pretty good value to boot.